Liverpool are set to be well-represented in the upcoming U20 World Cup after two promising young Reds were today named in the England squad. 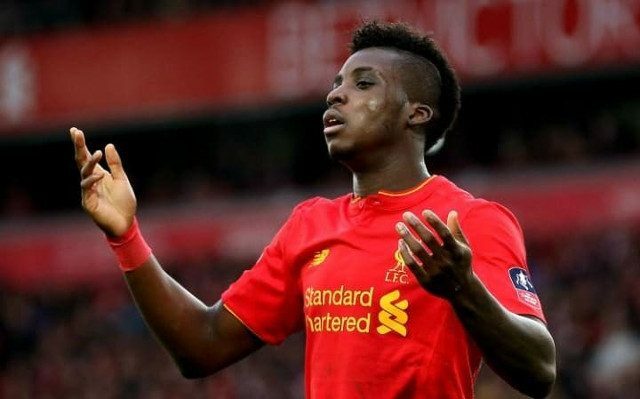 Sheyi Ojo and Ovie Ejaria have both earned a place in head coach Paul Simpson’s final 21-man group of players and will travel out to South Korea where the tournament will take place between 20 May and 11 June. The pair and their teammates will first fly out to Japan on Tuesday for a six-day training camp in preparation for their opening Group A clash with Argentina. The Young Lions will then compete against Guinea three days later on 23 May before playing their final group game against Korea Republic on 26 May. Our #YoungLions are all set for the #U20WC! Ejaria has made a name for himself at Liverpool this season having featured for the first team on a number of occasions, making his first appearance for the senior team as a second half substitute in September’s EFL Cup tie against Derby County. The same competition also played stage to his first start the following month as he helped Liverpool overcome Tottenham Hotspur at Anfield. Despite injuries hampering his progress following the turn of the year, he looks on course to get some minutes for England before rejoining his club fully fit in time for pre-season training. Ojo has endured a more difficult campaign having, too, suffered from an injury setback and failed to make more than two appearances under Jurgen Klopp, both of which came in the FA Cup.